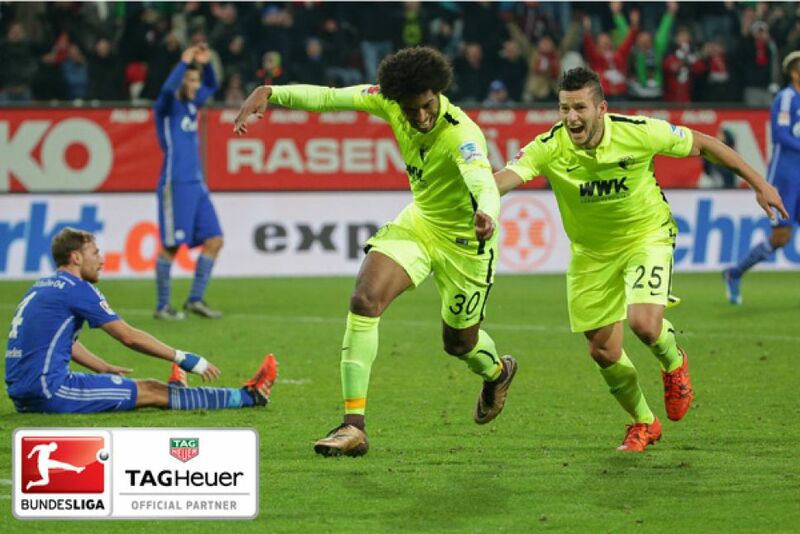 It was the moment FC Augsburg moved out of the bottom three thanks to a last-gasp 2-1 win over FC Schalke 04. It was the moment Augsburg finally got their season back on track. After making a slow start to the season, they are unbeaten in their last four and now sit two points clear of the relegation play-off spot. The home match against fellow UEFA Europa League participants Schalke appeared to be heading for a draw which would have kept Augsburg in the drop zone. The hosts showed the greater attacking intent as the clock ticked down, however, and were duly rewarded when Caiuby sent an exquisite volley into the top corner in stoppage time. That dramatic moment is worthy of respect! At the end of every matchday, TAG Heuer brings you the coolest moment of the weekend under the hashtag #DontCrackUnderPressure.